The Imperial Guardian has hit the store! 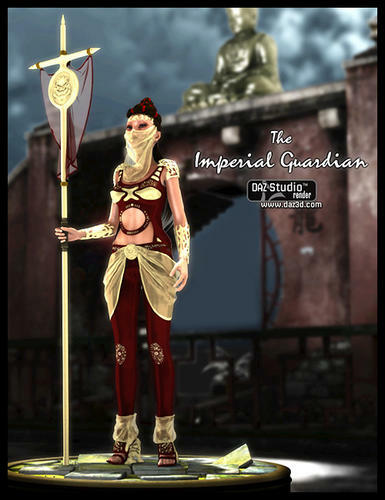 The Imperial Guardian outfit will give your heroic girl the power to protect or defend you. 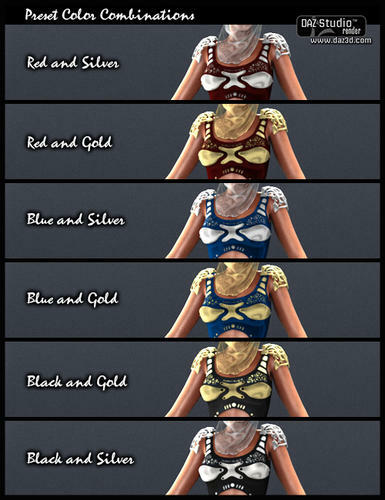 Although designed for Aiko 5, this outfit is ready for other Genesis female morphs such as Aiko 4, Victoria 4, RebySky, Basic Female, Victoria 5, Victoria 5 Supermodel, Hag, and Faerie. 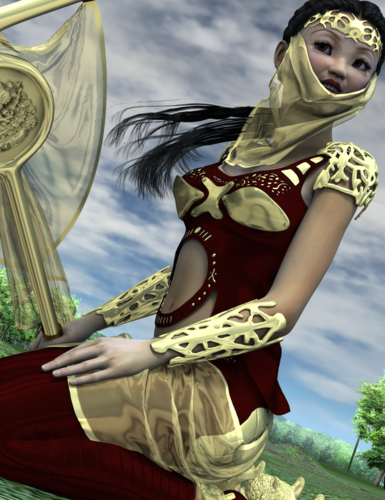 The outfit includes the Crown, Veil, Shoulder Guards, Bracers, Hip Scarves, Pants, Top, Ankle Scarves, Staff, and Guardian Shoes. 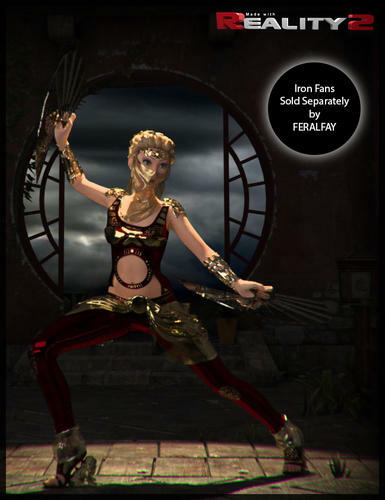 This fabulous set also has 68 beautiful material presets and 42 adjustment morphs, allowing for dynamic style control of the fabrics. It's a gorgeous set! 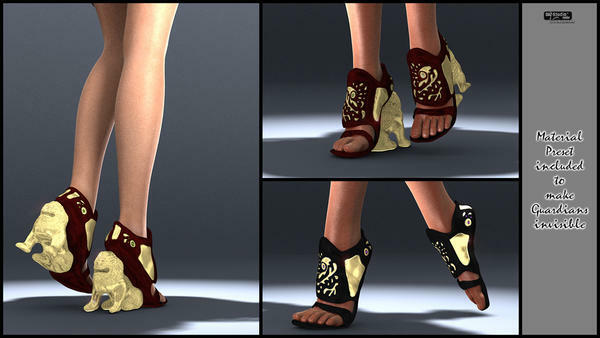 Here's a couple of renders I did using it. 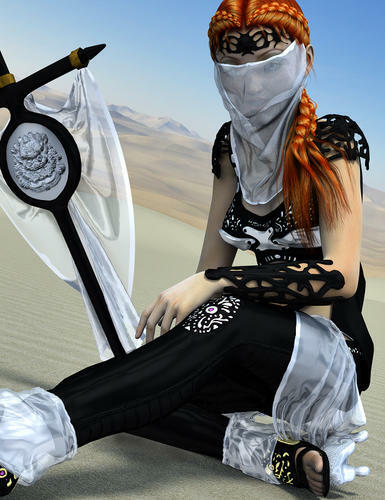 Wow Marieah, those are beautiful :) Your poses are so expressive they really make the outfit come alive. I'm glad you are enjoying the set! Thank you to everyone that purchased Imperial Guardian so far!